This page is still under construction. We expect it to be completed within the coming weeks. If you are interested in any of the products listed here, please feel free to contact us. 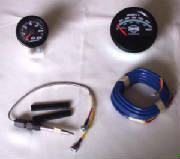 We have recently added a complete line of Isspro gauges to our line list. Whether you are looking for 12 or 24 volt, senders, resistors, bulbs, or dash mounting plate, we can offer a product to fit the bill. Take a minute to look at a sample of the products that we have to offer. Call today to order yours! If your coach came with VDO and you would really like to keep with what was offered as original equipment, we have the complete line of VDO products. 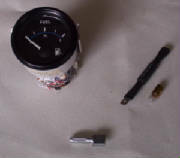 There are fuel senders and gauges, tachometers, oil and air pressure, water temperature, pyrometer, tachometer, speedometer, voltage reducer, transmission temperature, differential temperature and, turbo boost.